Though Naughty Dog is celebrating its 30th anniversary, we’re also excited to have been along on PlayStation’s twenty year ride that they’re celebrating this year. In fact it was developing for PSone that had Naughty Dog hire its first employees — for the first ten years it was just our co-founders Jason and Andy doing all of the art, programming, and design themselves. Oh, how times have changed! Developing the Crash Bandicoot games on PSone was an exciting time. PlayStation didn’t have a mascot to go up against Mario or Sonic, so when Naughty Dog debuted Crash for the first time at E3 in 1996, Sony put it right up, head to head with the other gaming juggernauts. And it worked! Crash Bandicoot became a worldwide success, and the demand for a sequel was immediate. The first game was developed by just eight people (Some who are still here! ), and the next three games were all developed in just twelve months each! It was a crazy pace to keep, but over those years the company started to grow. 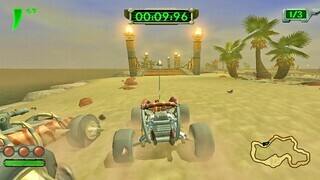 Naughty Dog was a whopping fifteen employees by the time Crash Team Racing was completed. During the development of Crash Team Racing, Sony had shipped us some of the very first PS2 development kits to enter the United States. We began developing an engine and doing early graphics tests as we decided what our next game was going to be. The promise of what the PS2’s increased horsepower would allow us to create had our minds spinning. We wanted to stop building discrete levels and build load-free interconnected worlds you could explore. We wanted to put an increased emphasis on storytelling, and give players motivation behind the gameplay they were experiencing. The possibilities seemed endless. And that’s how Jak and Daxter were born. PS2 was an incredible advancement in technology over PSone, and it allowed us to continue to refine and optimize our engine to get more and more out of the hardware over the course of the next three Jak games. The PS2 years were huge for Sony. The hardware dominated the console market but Sony was already looking to the future. While we were still developing Jak 2, Sony was already sharing information with us about the specs of PS3 and the legendary Cell Processor. In fact, we started a small R&D group called the ICE Team (which is still part of Naughty Dog today) to help experiment with different potential hardware configurations. As the hardware was finally taking shape, we again got our hands on early development kits just as we were brainstorming what was next for Naughty Dog after Jak and Daxter. Knowing what PS3 was offering, we decided that it was time to leave the fantasy worlds of our previous two franchises behind and to tackle a real world setting with realistic human characters. After exploration of dozens of concepts we finally settled on what would become Nathan Drake and Uncharted. PS3 turned out to be more complex than PS2. It was a challenge and it allowed us to continue to squeeze more and more out of it with each game we produced. The culmination of this was The Last of Us. After we thought we’d reached the limit of PS3’s capabilities with Uncharted 3, somehow our amazing team of programmers found a way to do just a little bit more. Convention says that it’s best not to release a new IP so late in the cycle of hardware, but we’re very happy that Sony gave us the opportunity. And as we were deep in the middle of development on The Last of Us, Sony, along with Mark Cerny, was busy putting together the plans for PS4. Mark has an office here with the ICE Team at Naughty Dog, so we had a front row seat to the whole process. It was truly impressive the care that went into the design of the hardware and the OS. Years of meetings with all of the publishers and the top development teams helped shape the PS4. Putting complete emphasis on games when designing the console was the through line. And, of course, learning from the concerns that the PS3 was difficult to develop for, the PS4 was built from the beginning to be appealing to the full spectrum of development teams. Remastering The Last of Us for PS4 let us get our first taste of the impressive new hardware, but switching gears back to Uncharted and developing our first game dedicated to PS4 is really letting us see it’s true potential. Since this is the first time we’ve carried a franchise over from one generation of hardware to the next, it’s amazing to look back and compare Uncharted 1 to Uncharted 4. It’s crazy to see how far the state of the art has advanced in just seven or eight years. Looking at Drake on PS4, it’s almost embarrassing to see what we considered ground breaking back on PS3. And we’re only a year into the life of PS4! We couldn’t be happier to have grown right alongside PlayStation these past 20 years. They’ve consistently provided the best hardware for gamers and game developers. And, just as importantly, they have fostered the best development community, creating hands down the strongest and most diverse stable of first party and platform exclusive games out there. It’s been an exciting ride so far, but I have a feeling things are just getting started. I would love for nothing more than an UNCHARTED PS4 Remaster at 1080p 60fps. Thank you for all of the wonderful memories going back to Crash Bandicoot. Continue leading the industry forward Naughty Dog! For 20 straight years, every single Naughty Dog game has been of extremely high quality. There’s no developer I trust more than ND. Can’t wait to see what you can do over the next 20! Please make arrangements with Activision to bring Crash back home where he belongs. We miss him! I know Naughty Dog has no say in this, but for the love of God, bring the original Crash Bandicoot series to the PS Vita, Sony. Naughty Dog said it themselves: Crash Bandicoot was YOUR mascot. At least show it’s origins some respect. I would love to see ND involved with some smaller projects (like MediaMolecule with Tearaway and SSM with their collaboration with indie games), specially if Sony could somehow get Crash righs back. I miss Crash Bandicoot so much, Sony should’ve atleast brought PS1 Crash Bandicoot games to PS Vita, Naughty Dog I know its not up to you and you guys are amazing. You guys are the most talented developers in the industry. I can’t wait to see what you do with the PS4. Evan Wells, please……. talk with Shawn Layden / Andrew House and ask them if they could talk with Activision regarding Crash Bandicoot. SCEA has to make the first step and talk with Activision. Acquire the Crash Bandicoot IP already. Seeing your ND Shop and the great Artbook without Crash is heartbreaking! FREE CRASH and bring the lost son back home. I get that this blog is playstation based, but you had a chance to talk about the first 10 years, and used only one sentence to talk about it. Originally got my PS3 to play RE5 coop with a friend. That was a bit of a letdown. But the Uncharted series justified the purchase many times over. Thanks ND, and thanks for this piece. Please make Jak 4 for PS4. PS: Could you please tell SCEA to allow us to play Crash and Spyro’s PS1 Classics on the PS Vita? I wanna play those classics on the go! Thank you! Best Naughty Dog game of all time: Keef the Thief! Sequel, please! @10(Cripshay): The Art Book DOES have Crash. For a while it seemed like he wasn’t going to be in it, but I guess they were able to make a deal with Activi$ion in time for its release. Rings of Power on the Genesis was my first Naughty Dog game I played. Oh, and how could I forget… Please make Jak 4 someday. I know Uncharted has platforming elements, which I love, but we have almost no 3D platformers nowadays, and none that are as open as Jak and Daxter. “Grown-up games” are nice, but I really miss the magic of old-school 3D platformers like Crash, Spyro and Jak. You guys never disappoint, congrats on the 30 years! I loved Uncharted 2! The story was great and the multiplayer was pretty unique! I really hope Uncharted 4 multiplayer is more similar to U2. Hope ND plans a Beta test for this game! Gonna buy for sure! If Sony really bought the Crash IP, I think I would prefer SCEJA to make the games and for ND to oversee the design. Every crash game needs ND overseeing the design, but code monkeys, etc can be somewhere else. Keep up the great work, you guys know how to master hardware really good. Wish Sony would support PS Vita more and get more support with it. PS Vita Hardware has alot of room to show its true powers of awesomeness. I would love to put my own game on PS Vita sense it would bring out hardware true power but i’m more on the PC side for putting my games on sense i would make more. You guys rock! Now the only thing I dream in my life is that Crash Bandicoot would return to this amazing team, known as Naughty Dog ! Naughty Dog your Sony best franchises to me. Crazy i’ve enjoyed every single game on that list; you guys never disappoint even with the psp, and vita games loved those to. The Last of Us 2? New ip?!! Naughty Dog is an studio! I remember playing Crash Bandicoot: Warped so much as a kid. The Jak and Daxter games were fun. Uncharted is one of my favorite franchises of all time. Sadly, I have had a chance to play The Last of Us, yet, but I hope to sometime in the near future. Thank you Naughty Dog and PlayStation and giving us so many great games. I’ve got a PS4 now and the day is fast approaching where the PS3 is one console too many is fast approaching. Just reluctant to let go some of my favorite franchises. I’m not seeing any mention of Way of the Warrior here…. One of favourite “so goofy it’s fun” games from the 3D0 era! Oh i remember when the jak and dexter games all came out i couldn’t wait to play them. ahhh all the fun i had back then. 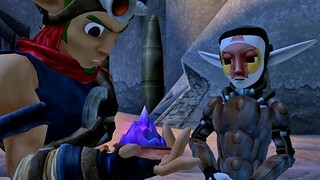 I love Jak and Daxter I’m sure it was the 1st 3D game that uses auto saving now every games today is doing the same. You guys let greed get the better of you after Uncharted 2 became such a success, and have since call-of-doodied the franchise. UC3 was unbelievably horrible. I have no doubt that UC4 will be just as bad or worse. Do us a favor, when you get around to working on the inevitable UC5, PLEASE try to make it fresh. Get rid of Nolan North and Nathan Drake and write an actual meaningful story. With UC3, it was VERY clear that you guys had a field day of “OMG so what would be epic? !” “Fighting on a plane!” “GREAT! WHAT ELSE? !” “A shipwreck” “SWEET”. And after doing that about 15 times, you decided to THEN write a story that would somehow fit around the set pieces. It was terrible. The first Uncharted was incredible. The second was really good and had one of the best multiplayers ever made at the time. Then.. you rushed it. Not even a year after UC2’s release, you announced UC3, and boy did we suffer for it. Is it really so meaningful that a bunch of adolescent Nathan Drake groupies kiss your feet? Wouldn’t you rather do something truly good again? The real gamers and thoughtful fans don’t want you shoveling samey stuff to us every 2 years. Get rid of Drake and bring back Hennig if you have to. I feel so strongly about this because I am a HUGE fan of the first two games. My intention isn’t to be negative. It’s just constructive criticism. p.s. The Last of Us is truly a masterpiece, both in single-player and multiplayer. I know the ND team contain an obscene amount of talent. We need to see that level of passion and devotion in all of your games. I have every game on that list, I love Naughty Dog. I can’t wait for Uncharted 4 and I can’t wait to see what Naughty Dog comes up with next. I love the UC3.. the first hour of the game without a single gunshot… that was epic. The young Drake session is one of the best in the series. Best studio in the business hands down! 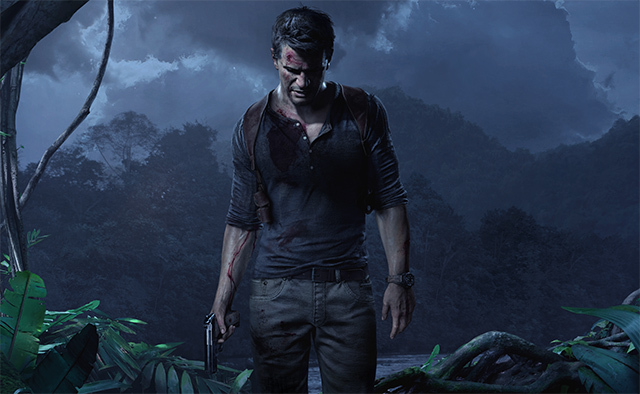 Can not wait to see more in the coming months of Uncharted 4! Please please please bring back the original Crash Bandicoot idc what you have to do just bring original crash back to Playstation. So many fans are hoping that crash our once beloved mascot will return home. Give the gamers what they want and the answer is Crash. Uncharted 2 and 3 are the games I´ve replayed the most, along with TLOU. Just take my money and give us a remastered collection of all Uncharted games on PS4!!! Thank you ND for all of those great memories! I can’t wait for U4! i bought PS, PS2, PS3 & PS4 just because of Naughty Dog ! I like the game but never finish it. Make another fantasy game I mean seriously Final Fantasy 15 isn’t even doing that it would be like original again! It looks like the Bringing Nathan Drake to PS4 panel wasn’t covered on Twitch. Will you guys be posting that here or somewhere else soon? It sure would be interesting to watch, thanks!